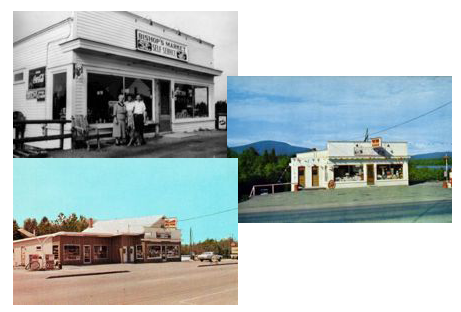 Bishop's Store has been in business for over 60 years, opening in August of 1950. Paul Levesque started a family tradition of service to both residents and visitors of the Jackman Maine region. 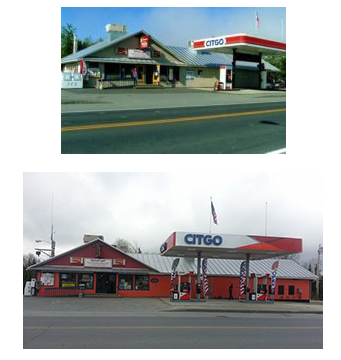 This store has now involved three generations of the Levesque's. The founder Paul Levesque, my father Joe, and myself, the present owner, Raymond Levesque. My wife Lorraine and I continue in the tradition of ensuring customer satisfaction. 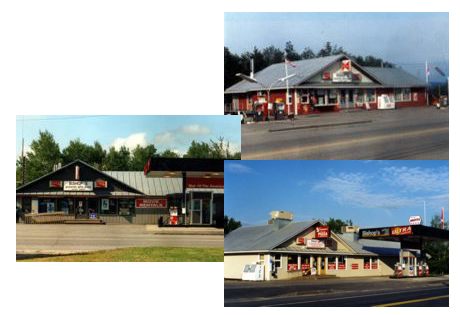 We started as a small general store and gas station and we have evolved to include a combination of sporting goods, deli, gifts, souvenirs and general merchandise. Our pizza has been described by many customers as the best in Maine. We also carry a large selection of plush animals, especially moose and other unique gifts. Bishop's is the place to get hunting and fishing licenses, snowmobile and ATV registrations as well as information on what is happening throughout the region in the outdoors. For the big game hunter, our store is the registration agent for moose, deer and bear. If you're in the area, stop in. We are open 7 days a week, year round.